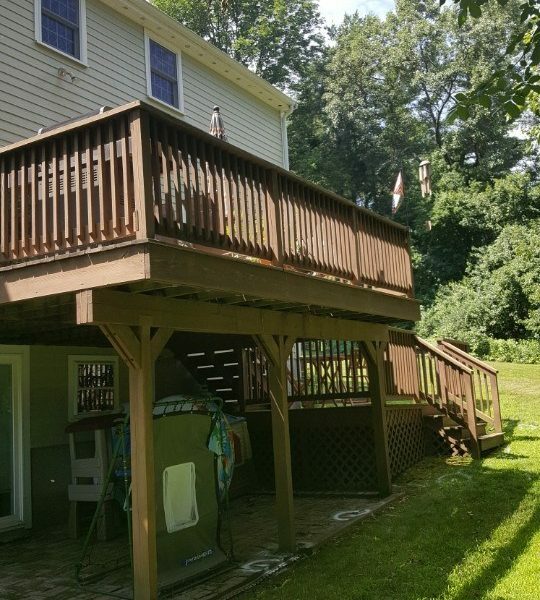 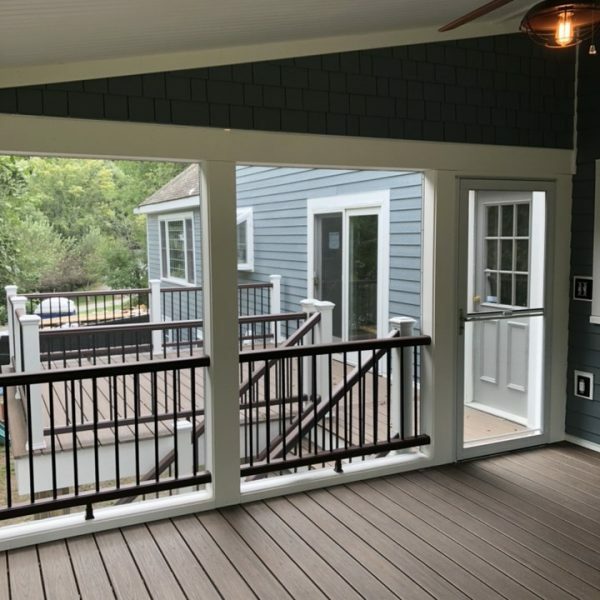 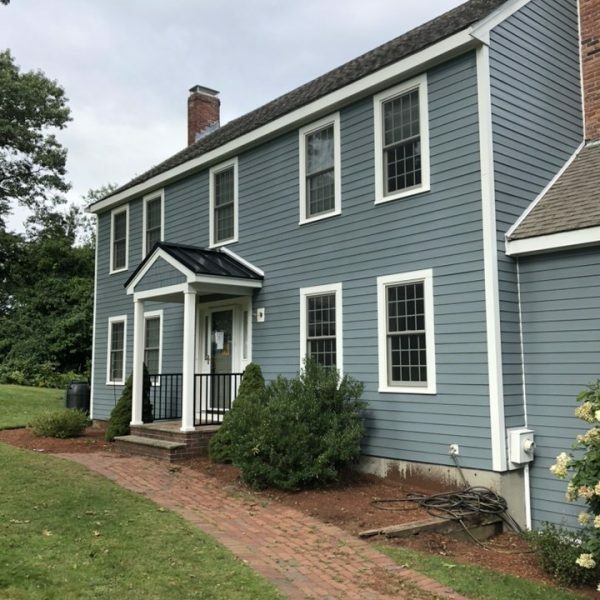 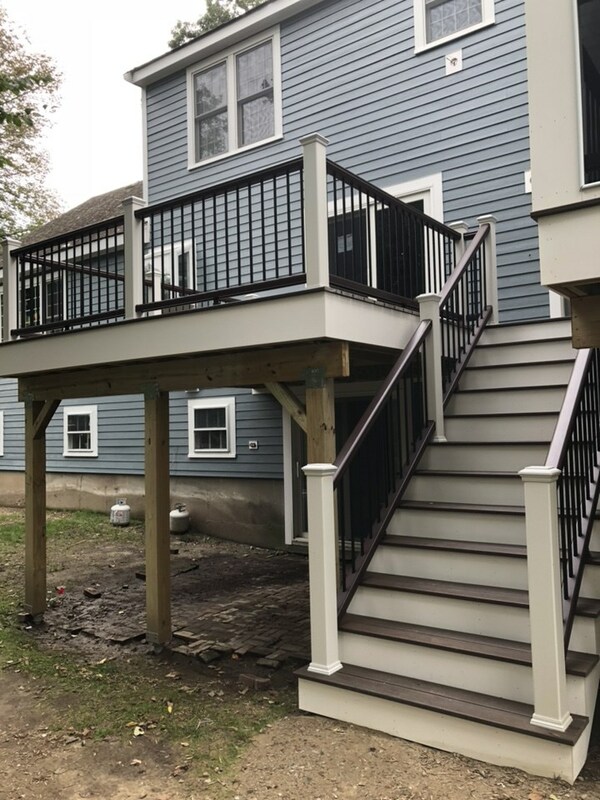 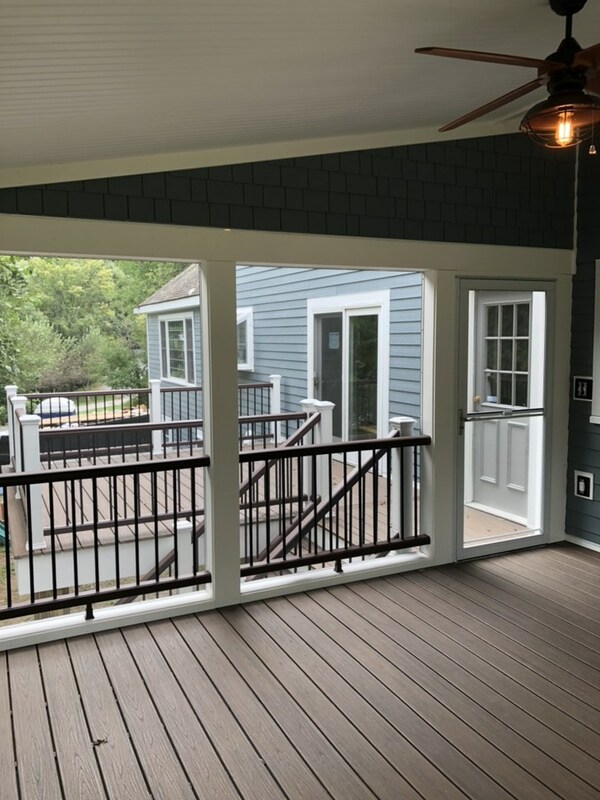 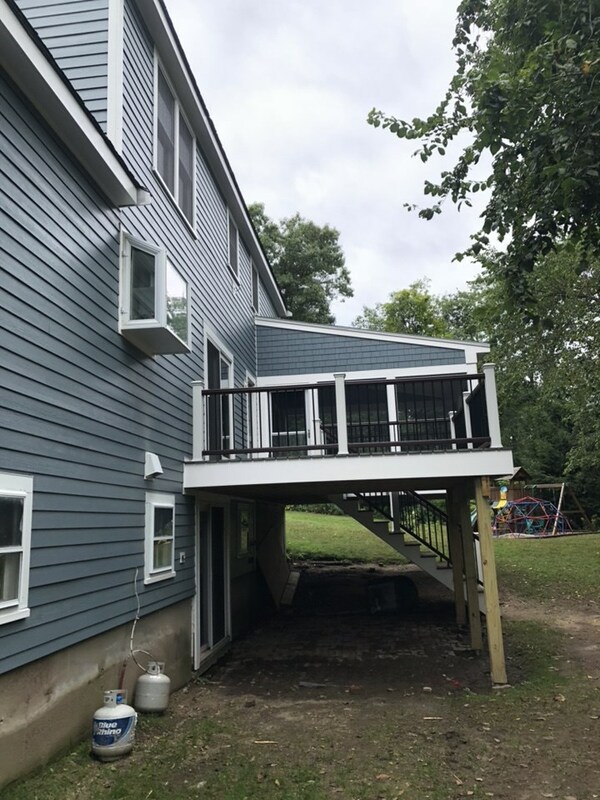 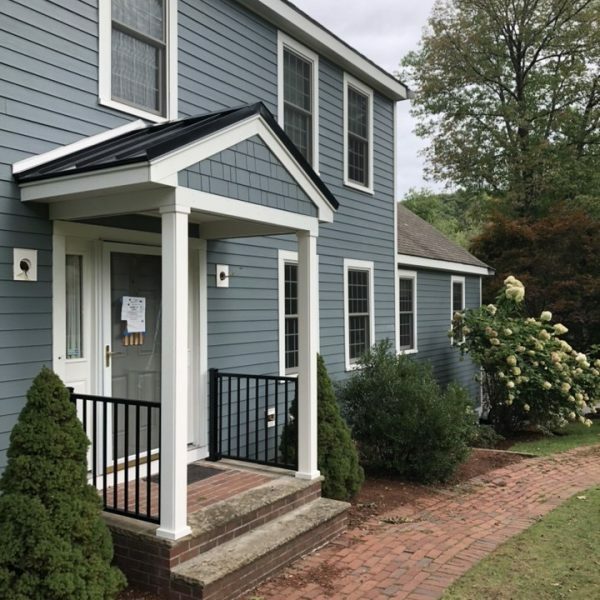 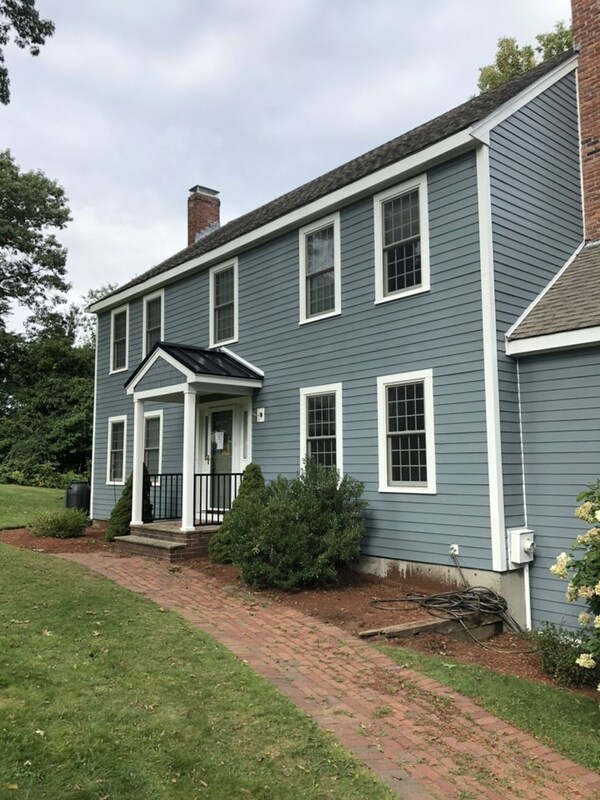 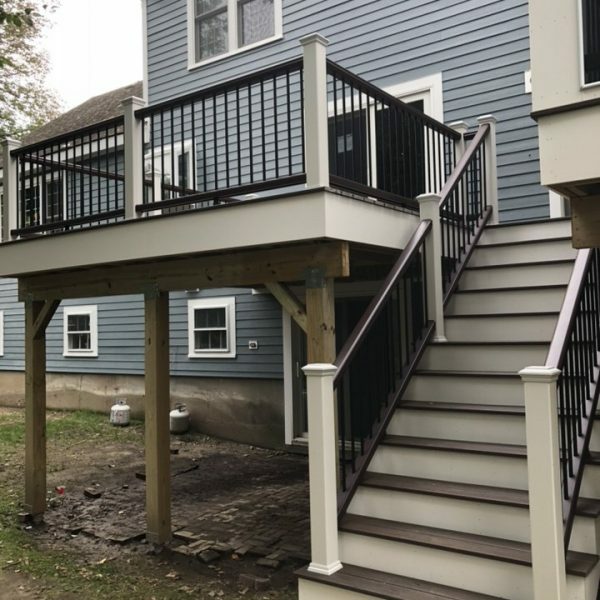 Professional Building Services transformed these North Andover residents home back in August of 2018 and the results are stunning! 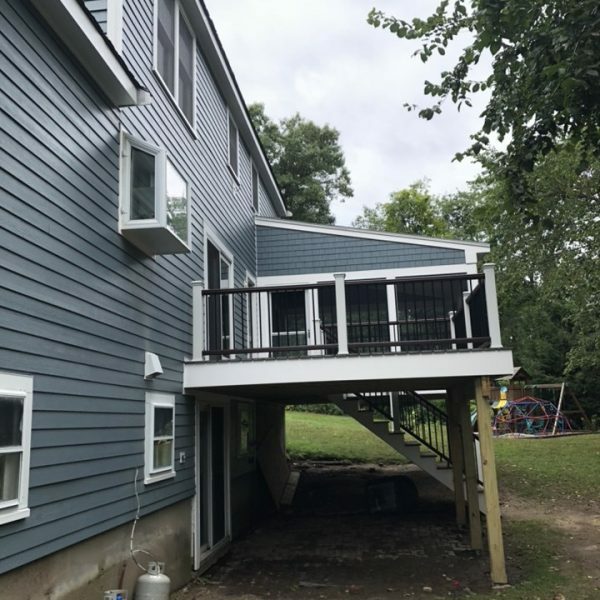 They had 1 layer of wood siding that was peeling, rotting, and at the end of its life. 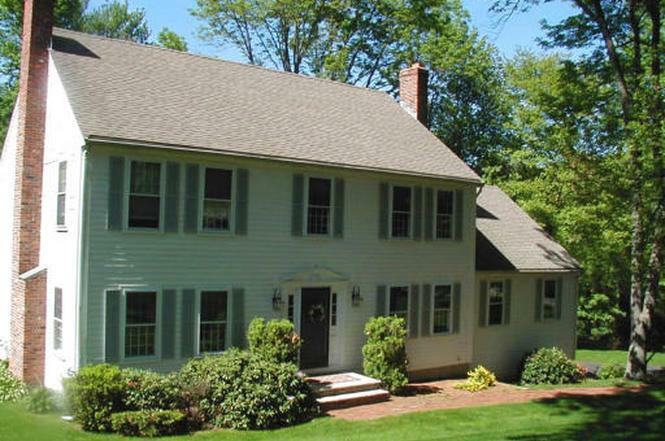 The soffit size was insufficient for the overall size of the house. 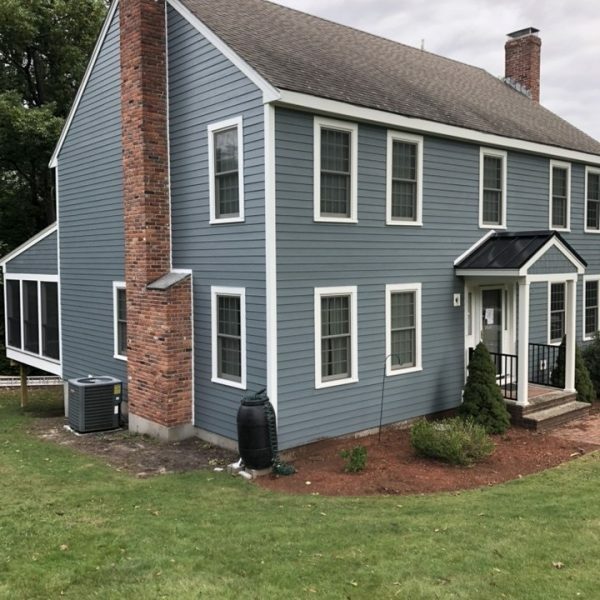 They wanted an entirely new look and better efficiency overall. 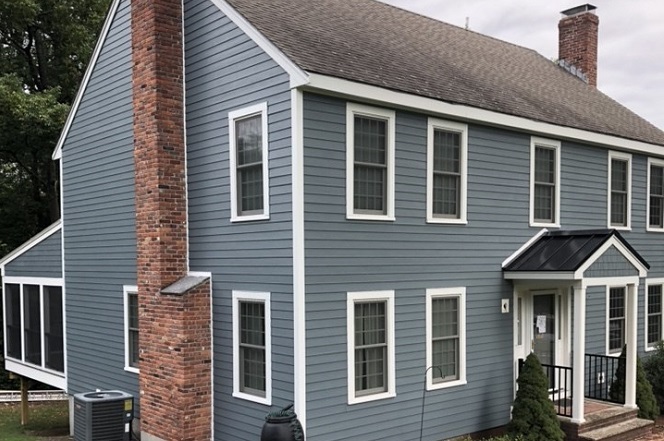 PBS installed James Hardie Fiber Cement Siding Hardie Plank with Hardie House Wrap around the entire dwelling and taped around all seams including windows. 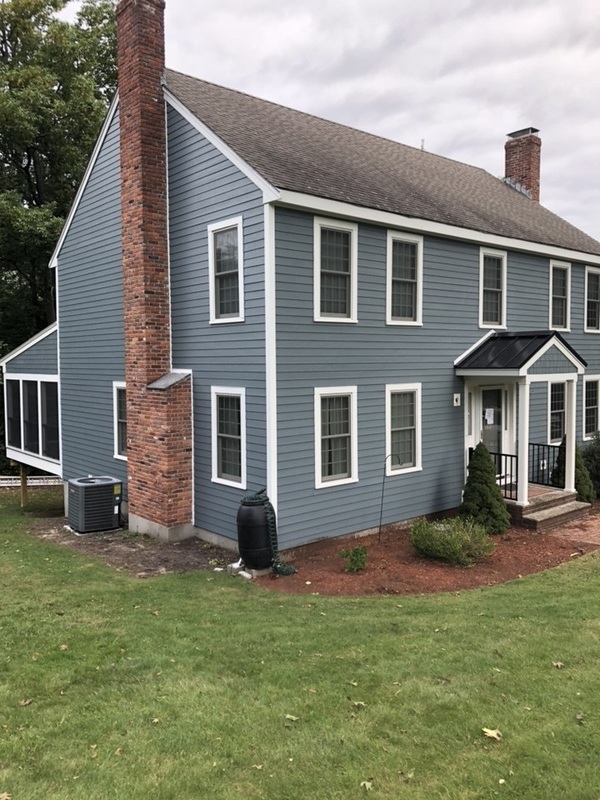 Siding is a 5″ reveal Cedar Mill in Hardie’s Color Plus BoothBay Blue. 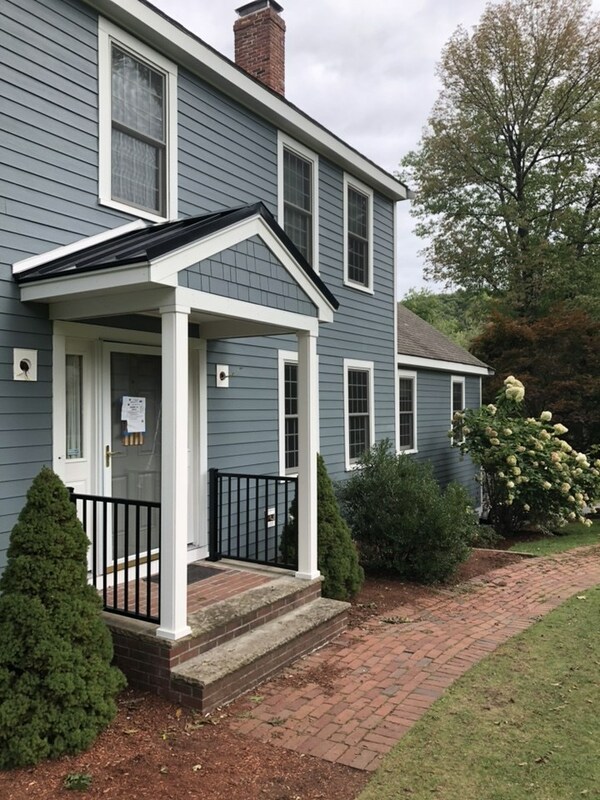 We also added Hardie Window & Door Trim and Sills, Hardie Fascia, Hardie Soffit, and Hardie Corner boards in Arctic White. 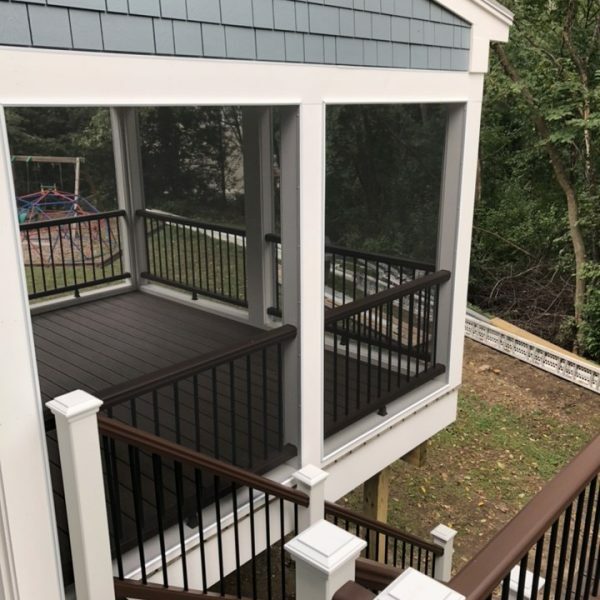 We added a gorgeous portico on the front of the house & a Transcend Trex Decking & Railing Deck & 3 Season Room. 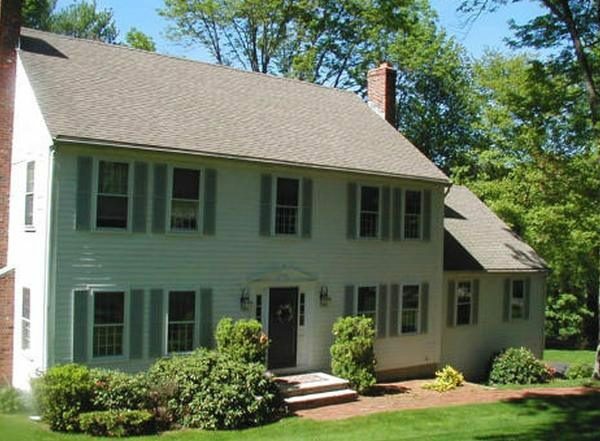 These homeowners love every component of their project. 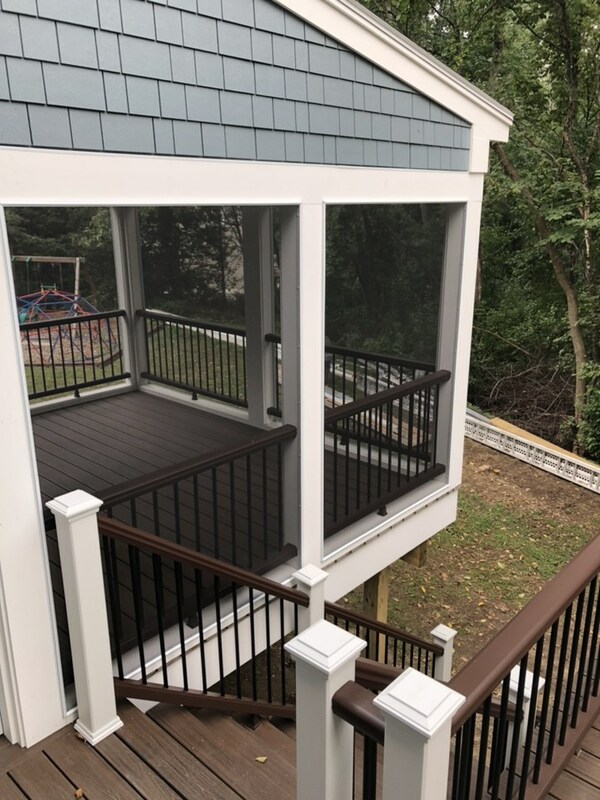 We started out with just doing the 3 season room, and they like our work so much that they added to the project half way through. 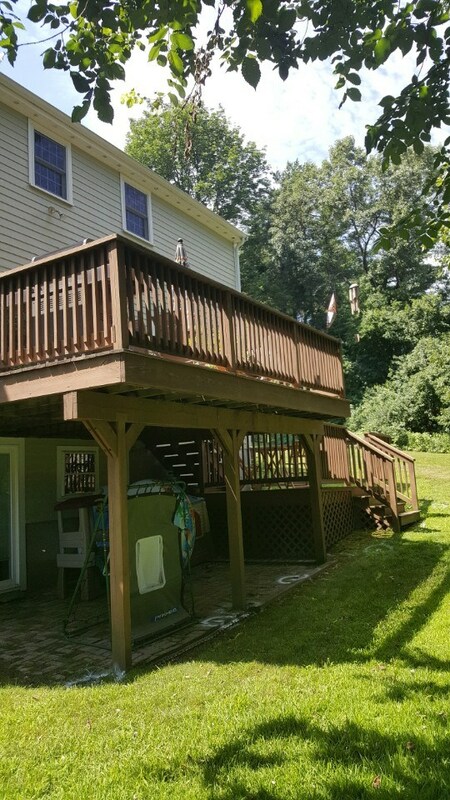 We were happy to accommodate & love these before and afters!